The small town of Buena Vista is on the national map for it’s music scene. It’s been a long time coming and it has taken the tireless work of several local dedicated music fans with deep pockets, a dream, and just the right connections. 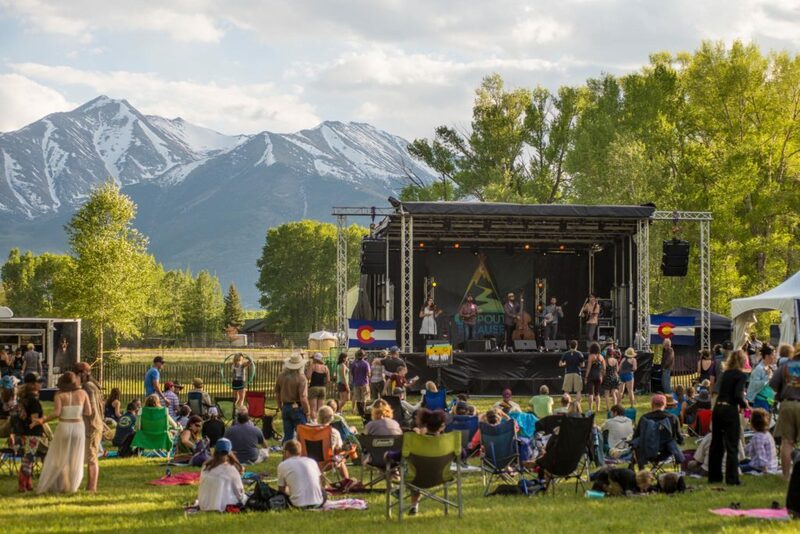 In 2006 the Collegiate Peaks Music Festival debuted and became BV’s first long standing music festival. The Collegiate Peaks Music Festival was a grass roots, small town, music festival that bounced around from E Main St, to South Main, to McPhelemy Park, and continued for seven years (I think) before fading away. In May of 2012 South Main opened “The Beach”, an outdoor concert venue overlooking the Arkansas River and adjacent to the town park in front of the Eddyline Brewery. The Beach hosts free weekly concerts all summer. In 2016 they upped their game by building a permanent and seriously impressive stage. Dance barefoot in the sand or on the grass in the adjacent town park. Beach shows are always family friendly and a great time for all. The Lariat was purchased and renovated in 2016 by two people who are committed to bringing great music to BV. The new Lariat is awesome! They kept as much of the original building and its character as possible, even restoring the front of the building to its original look, while creating an entirely modern and hip atmosphere. “The Rope” is all about the music! The stage and dance floor are the centerpiece of the venue. A huge bar, two pool tables, and ample seating make this the most popular spot every weekend. The Lariat has free and ticketed shows and is a great place to stop in to check out the local scene. There is so much local talent that you have to audition for the Wednesday night Open Mic Night. During the summer of 2016 the Meadows Farm debuted as a world class festival site. This 200+ acre piece of land features two huge meadows, borders Cottonwood Creek, and boast some of the most stunning views of Mount Princeton anywhere in town. The first major festival was the Vertex Festival in 2016. This eclectic mix of electronic dance music, rock and roll, and performing artists was a bit of a culture shock for many BV locals. It was fun, wild, and completely out of character with BV. 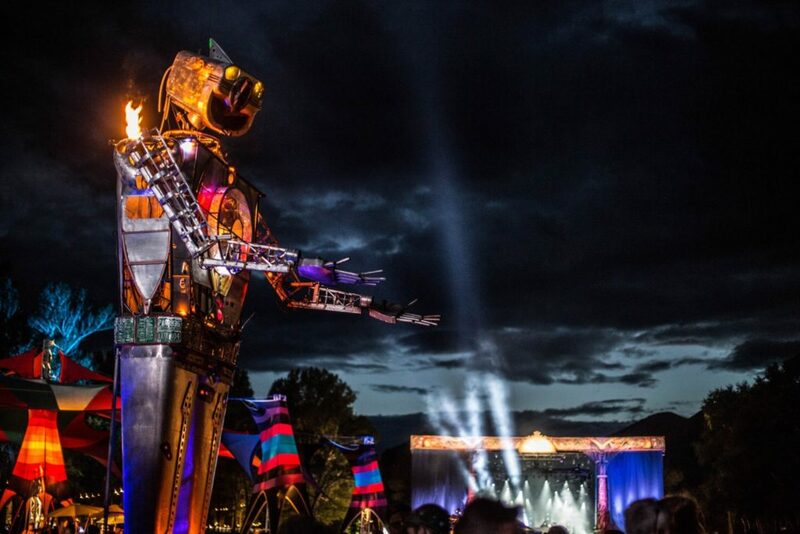 There was a lot going on at Vertex including a flaming 20’ tall robot, tickle and balloon houses, and a variety of music so diverse that it would make your head spin. Vertex did not make a second appearance, but it put the Meadows on the map. Take a minute and flip through the pictures of Vertex. In 2017 Campout for the Cause moved its longtime festival from Rancho del Rio on the Upper Colorado River down to the Meadows Farm in BV. This smaller more intimate festival had a very family friendly vibe and was well received. 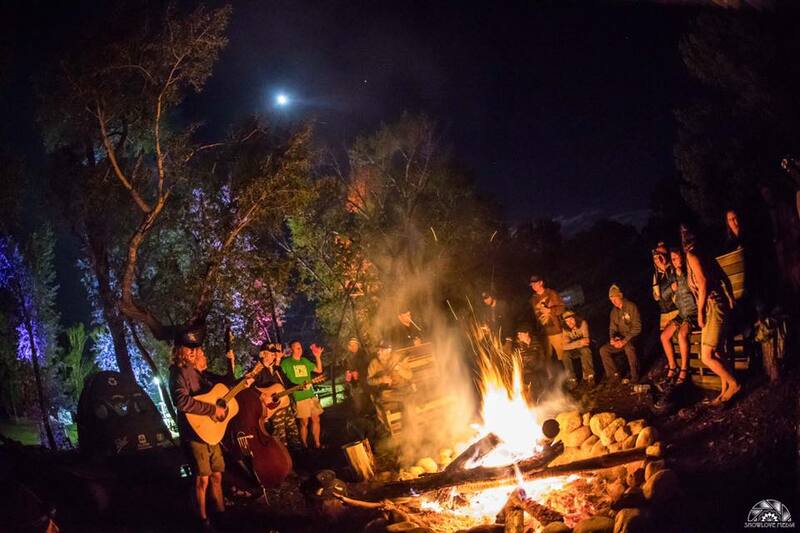 The festival featured bands that shared the stage with one another all weekend and ended each night with an intimate fireside jam session. Yoga and community are centerpiece themes of Campout for the Cause. Each year the festival donates proceeds to a charity or family in need. 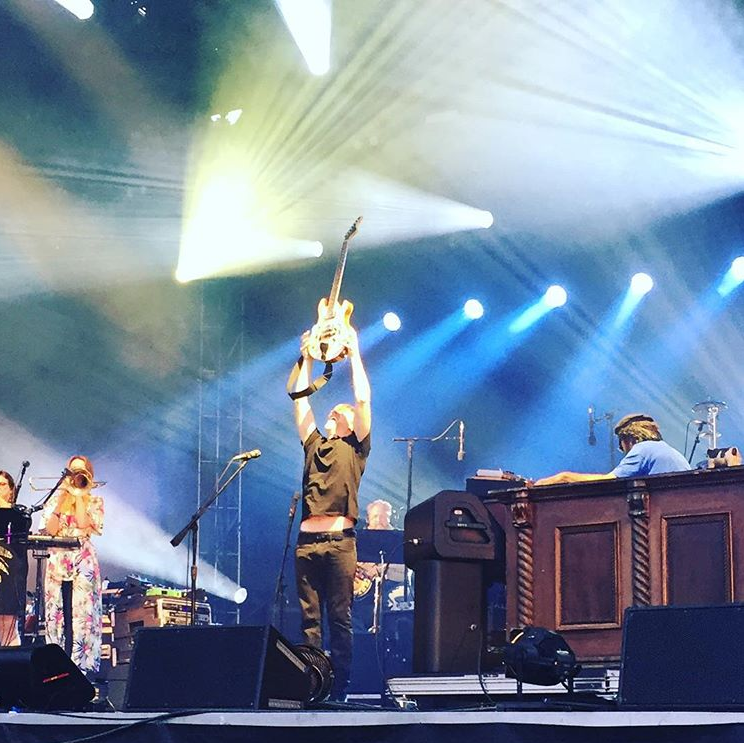 This coming summer (2018) Buena Vista will host two major music festivals. 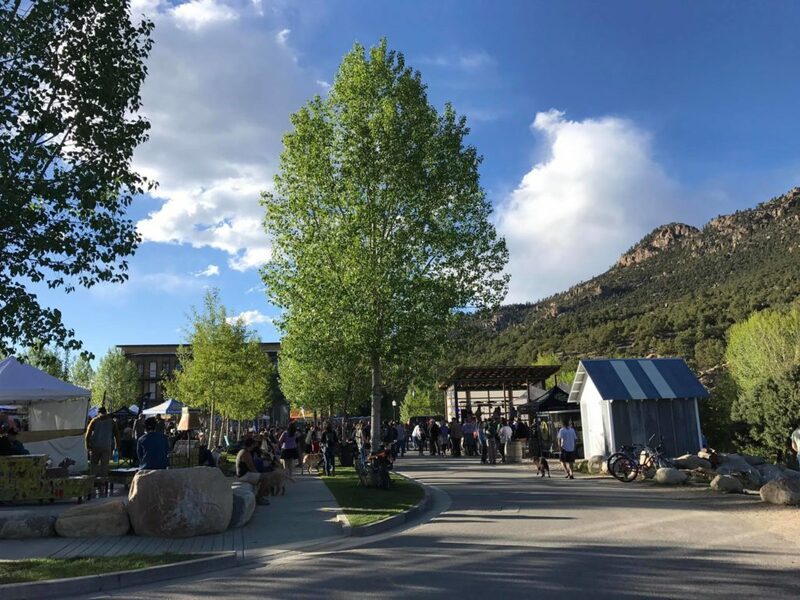 Campout for the Cause will return for a second year to the Meadows Farm in early June and the Seven Peaks Music Festival will make its debut over Labor Day weekend. The Seven Peaks Music Festival will be headlined by Dierks Bentley who was the inspiration for starting this gathering. An amazing lineup of musicians will be in Buena Vista this year. Will you be here?